Mrs. Mildred Christiansen, 90, of Charlotte, Iowa, died Sunday morning, March 17, 2019, at Crestridge Care Center, Maquoketa. Mrs. Christiansen, the former Mildred Emma Christina Diesing was born June 28, 1928, in rural Clinton County to the late Andrew and Elsie (Knutsen) Diesing. On September 9, 1928, she was baptized at Elvira Zion Lutheran Church by the Rev. M.T. Hueter. Mildred was confirmed April 18, 1943, at Immanuel Lutheran Church, Charlotte by the Rev. William Zabel. Millie graduated from Goose Lake High School in 1946 where she played basketball. That year, tiny little Goose Lake went to sub state, which Millie was very proud of. She married Gerald Christiansen November 4, 1947, at Immanuel Lutheran Church, Charlotte. The couple resided in Charlotte where they raised their son, Tod. Millie was known as the "lunch lady" and worked for 32 years in food service at Charlotte and later Goose Lake until retirement. Gerald preceded Mildred in death, April 12, 1994. She was a longtime member of Immanuel Lutheran Church, Charlotte as well as their Ladies Aid and Choir. Millie also belonged to the American Legion Auxiliary and a card club for many years. 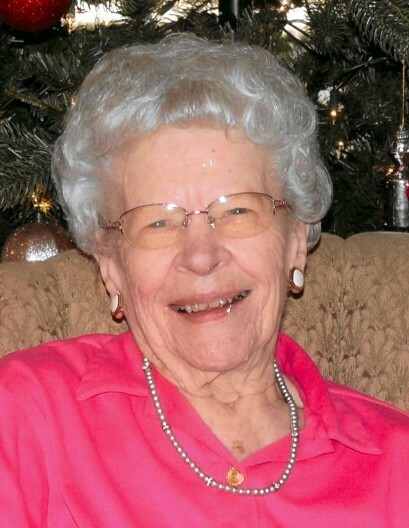 She enjoyed television, sports-especially the Cubs and Hawkeyes and dancing. Millie loved music and never missed Lawrence Welk. One of her greatest joys in life was her family, especially her grandchildren and great-grandchildren. Surviving are a son and daughter-in-law, Tod and Diana Christiansen of Goose Lake; grandchildren, Gerald (Jodi) Christiansen and Amy Christiansen; great-granddaughters, Emma and Rebecca. Mildred was also preceded in death by infant grandchildren, Rebecca and Tod, Jr. and a sister, Darlene Schaefer. A private family service will be held Friday, March 29, 2019, at Schultz Funeral Home, DeWitt with the Rev. Anthony Dodgers officiating. Burial follow at Rossiter Cemetery.